When you are on a diet but just couldn’t resist your cravings for some cold sweets then you might want to give in to some Gelato. As far as fat content, gelato is a lot lower in fat since it is denser than ice cream due to its lower air content. 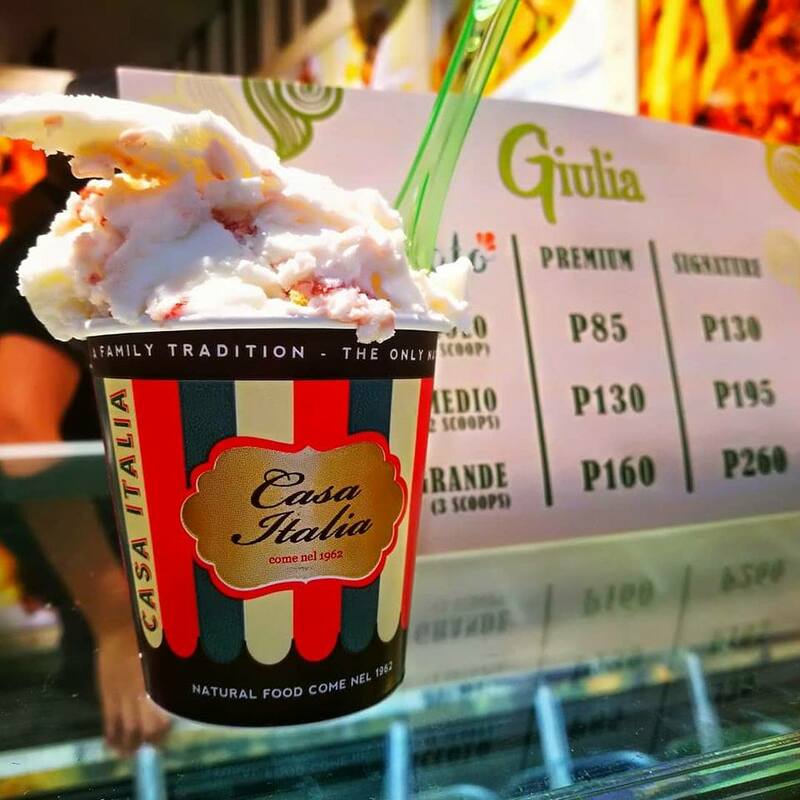 And if you are looking for the best (all natural) gelato in the Metro then you might want to drop by the newly opened Giulia at The Block of SM North EDSA. 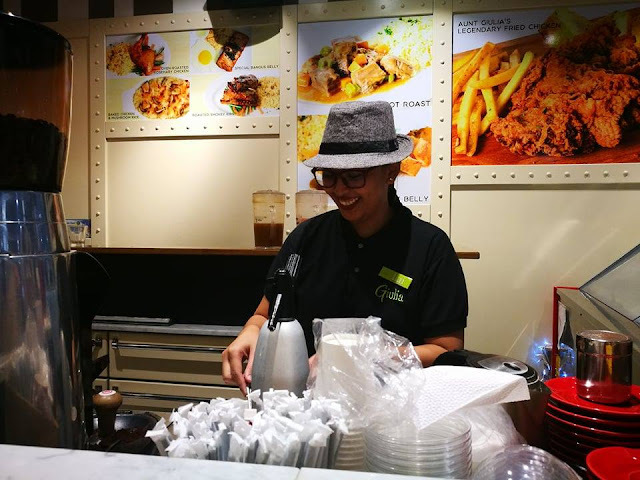 They serve casa italia gelato one of the most popular gelato in Singapore and you have more than enough choices to satisfy any craving you have. But if I were you Id start off with the Pistachio and the Dark Truffle Chocolate. 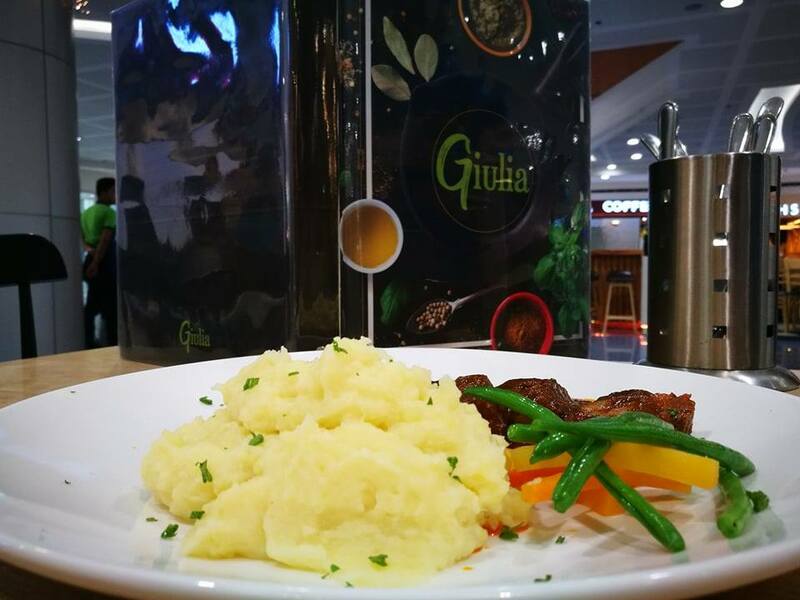 From the same company that brought Casa Italia to the Philippines, Giulia expands its menu to offer more dishes and a home-cooked experience. 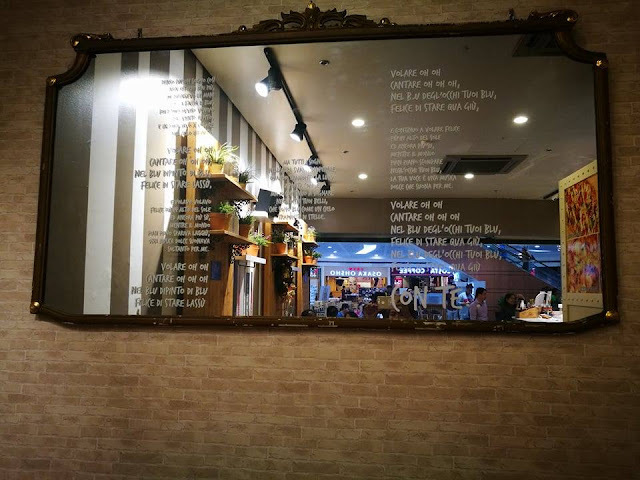 The place has this homey ambiance and a selection of perfect comfort food to go with your mood. 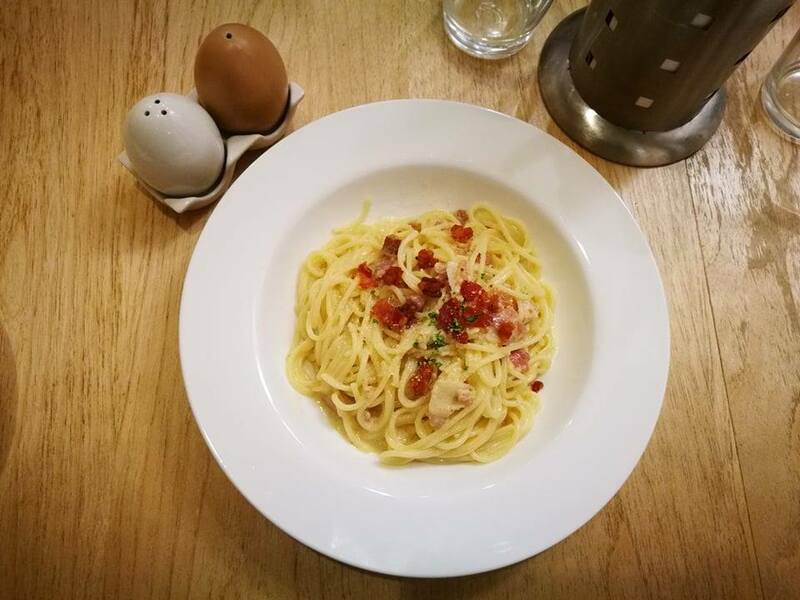 I used to order their carbonara and pizza before, but now they even have more options that’s good for the entire family. I cant wait to bring my kids here. 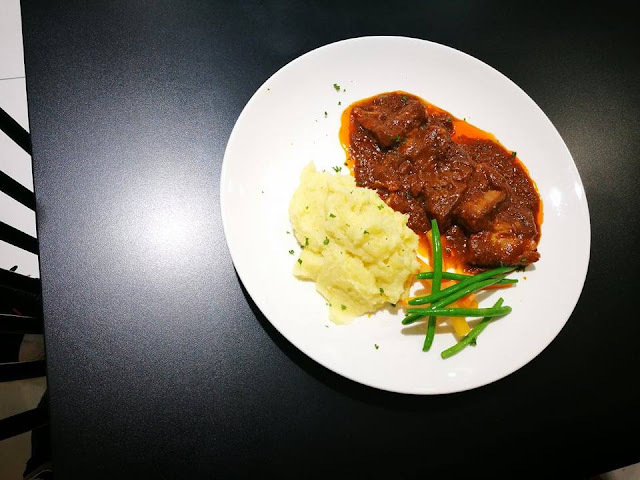 Giulia formally opened last Nov 10 and I got to sample a few of their must try dishes including the Aunt Giulia’s Legendary Fried Chicken (make sure to combine the gravy and honey dip) The Italian beef stew, Seafood shrimp and their pasta and pizza which Im sure you and your kids will love. 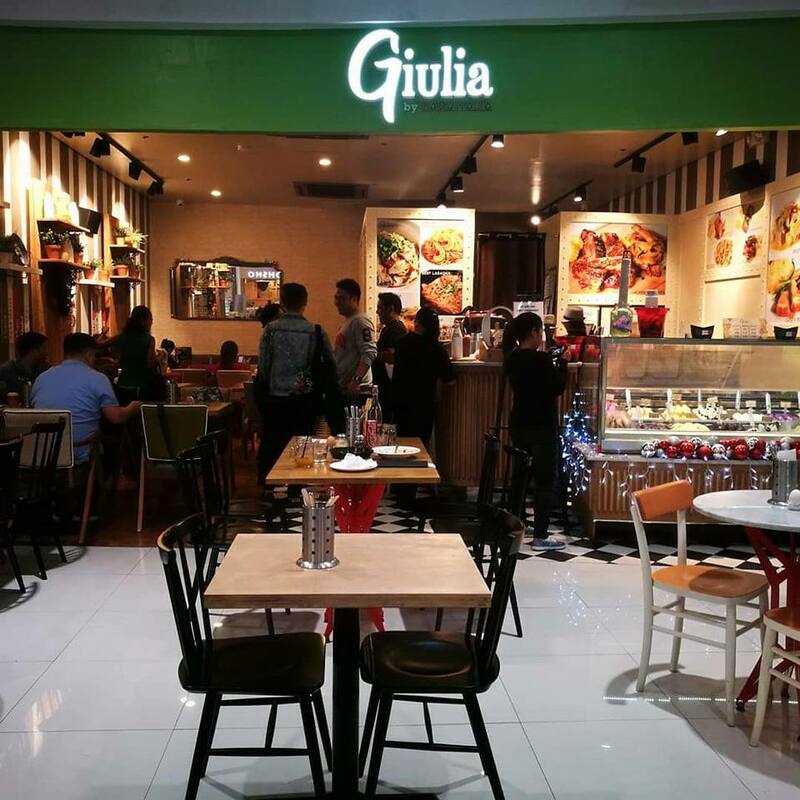 From the company that introduced Casa Italia to Metro Manilans in 2015, comes Giulia, the newest dining place that beckons anyone longing for home-cooked food. Taking off from the same location where the renowned Casa left its footprint, Giulia is a full-service restaurant that whips up hearty dishes that linger way after you’ve finished everything on their plates. 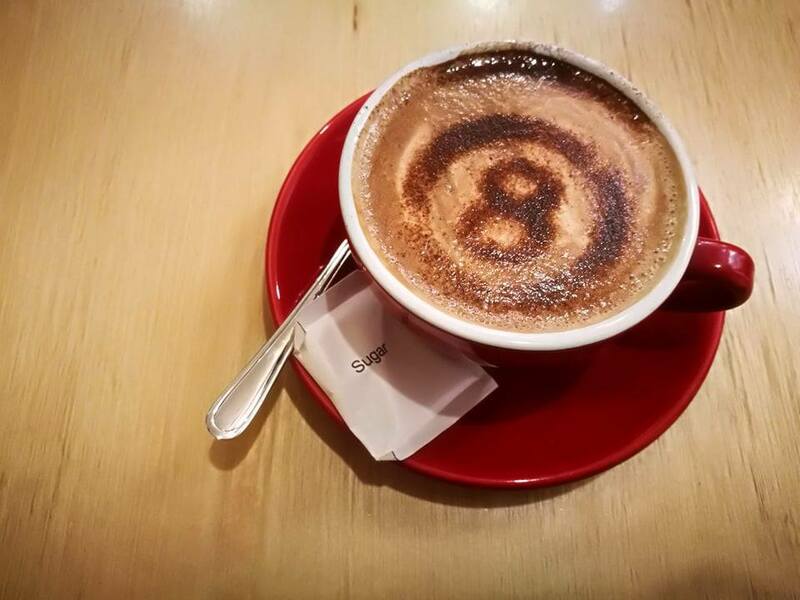 For starters, you can choose from the ceasar salad, the pumpkin and the mushroom soup. Or you can sate your palates with their flavorful servings of Gambas Al Ajillo and Loaded Fries. 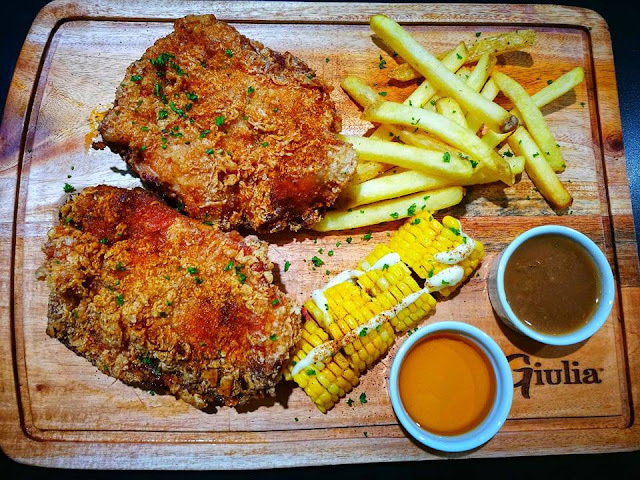 Sure to earn raves because of its size and flavor is the Legend- a big chunk of fried, boneless chicken which packs in just the right amount of spices.They also have other meat dishes like the Braised Lamb Shank, Italian Beef Stew and Crispy Pork Belly. There is also something to be had by pasta lovers at Giulia: there is the carbonara, creamy prawn, beef lasagna, spicy calamari, and bolognese. 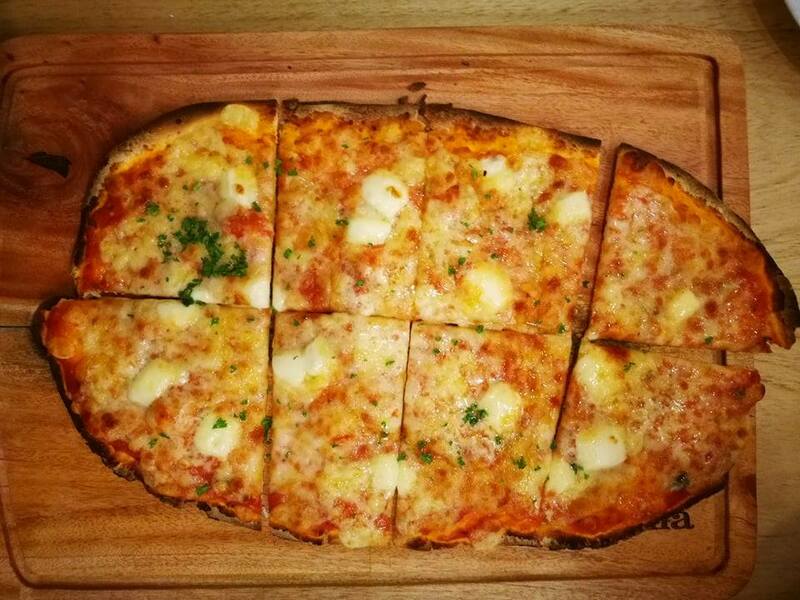 For sharing, they have an assortment of pizza to choose from, including the four-cheese, the all meat and the chicken barbecue. They also have big plates good for a few hungry mouths- like the rib and chicken platter. 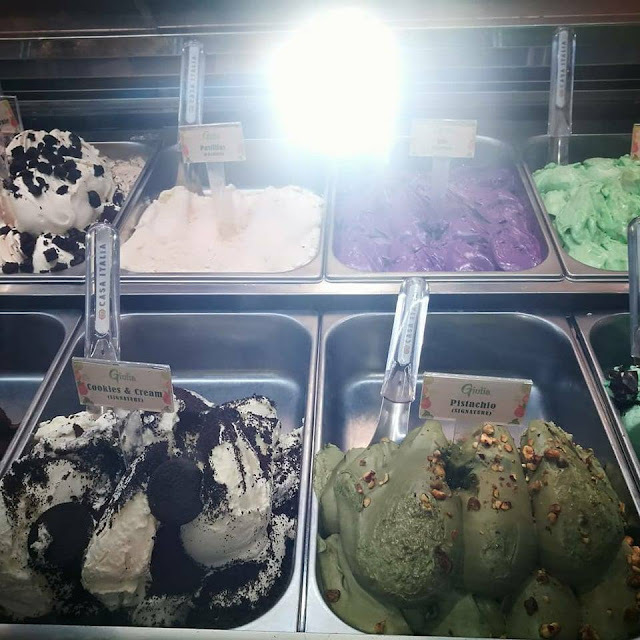 Then, for sweet endings, they have a premium gelato line which boasts of the most natural ingredients- like their best-selling flavors pistachio, dark truffle, mint and Bailey’s. 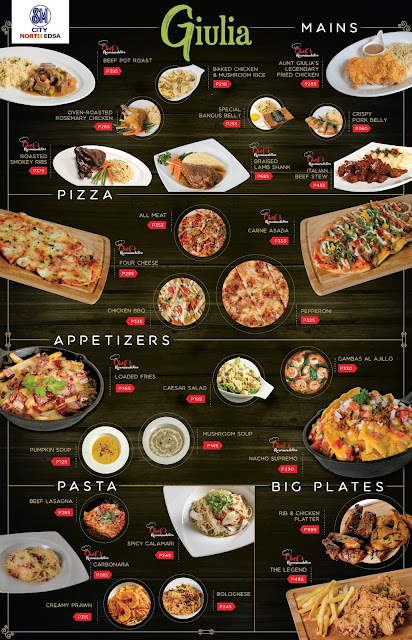 *Giulia is open during mall hours and is located at the G/F the Block, SM North EDSA.